As the nation’s capital London is the business hub of the UK and many international companies have their UK or European headquarters based in the city. With office space at a premium and often costing a considerable amount of rent per month it would be more cost effective and economical to store your company’s files and documents off site. Despite being based in Shropshire, EvaStore document storage makes regular collection and delivery trips into London and specialises in providing document storage and management services to a wide range of business both large and small. Our range of services include document storage, confidential document shredding, document scanning and Secure Vault storage. We have many years of experience in servicing a wide range of industries including (but not limited to) – financial services, insurance services, legal services, and healthcare and pharmaceutical industries. Security is at the core of what we do as it is essential that all documents and files entrusted to our care are safe and secure at all times. To that end our custom-built storage facility features the latest in CCTV, intruder detection, access control and fire detection systems. This guarantees peace of mind that your documents are in safe hands with EvaStore. Internal and external CCTV coverage, 24 hours a day. Fire detection and remote monitoring 24 hours a day. Intruder detection and remote monitoring 24 hours a day. Visible security guard presence outside business hours. All members of staff vetted and CRB checked. All vehicles tracked at all times. Access control which restricts movements within the facility to authorised personnel. 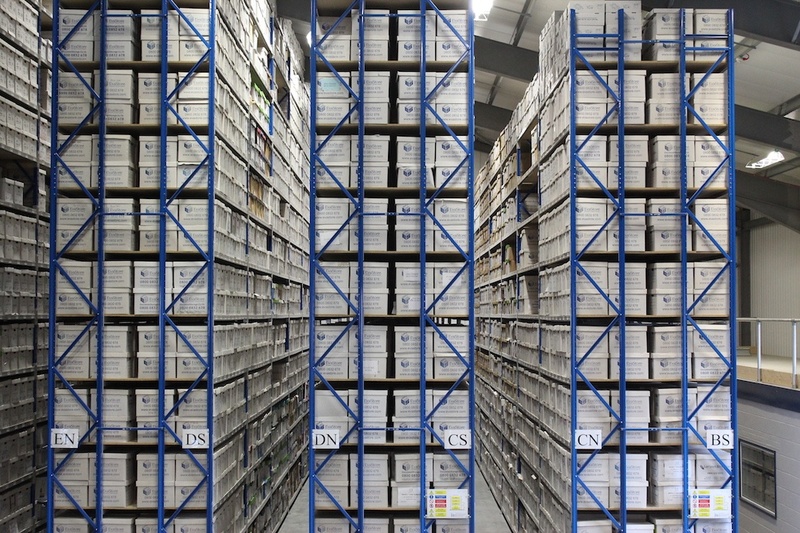 With the sheer volume and diversity of documents entrusted into our care it’s essential we know the location and status of all items stored in our facility. To this end we have become a strategic partner of O’Neil Software and utilise their industry standard RS-SQL records management software to manage your documents most effectively. RS-SQL provides us the ability to track your files and documents throughout their entire life cycle with us. 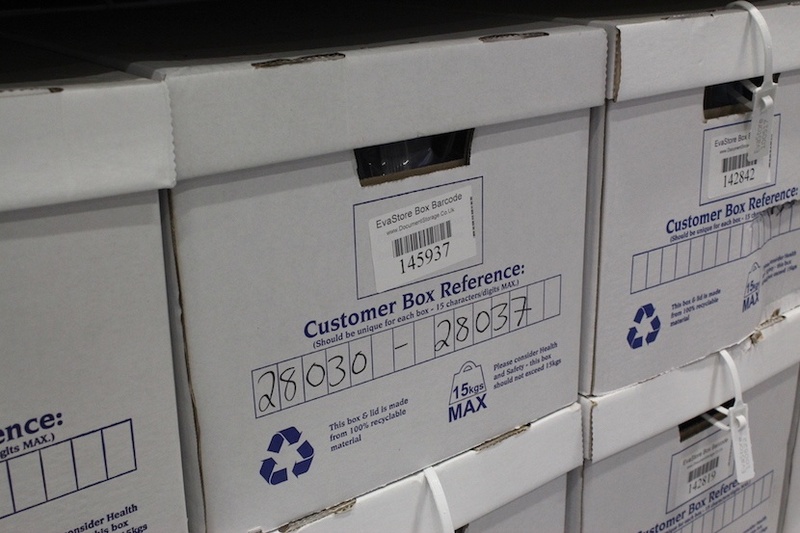 Each and every box is assigned a unique barcode which is immediately scanned onto our system by our driver on collection. From this point on we can trace the precise location and status of your documents and also record a complete history of their time in our car from the day they are collected. 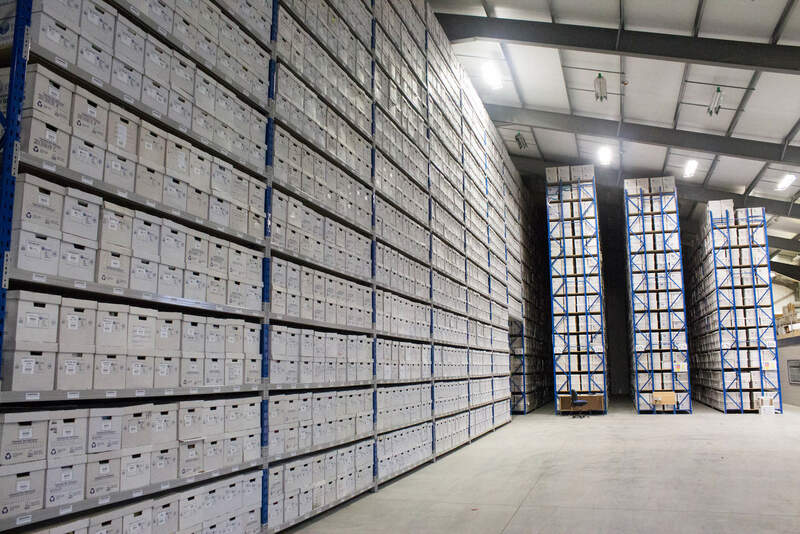 If your business is based in London, whether that’s the City, Greater London or any of the surrounding areas, and you are considering offsite document storage and management then please contact us today.